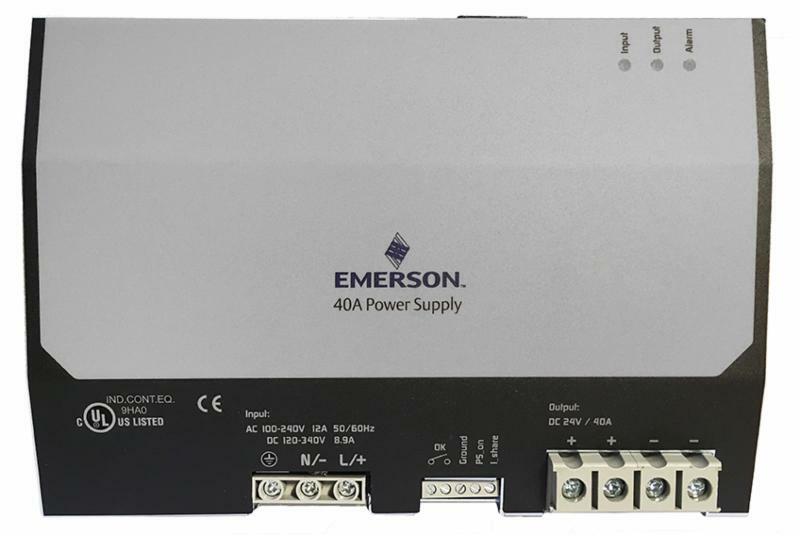 Emerson today announced a major upgrade to its SolaHD SDN 40-24-100C 40A DIN rail power supply that doubles the number of terminals available for improved connectivity to power multiple devices, while also stepping up its heat rating to expand the number of types of hazardous environments where the power supply can be deployed. First available in 2014, the best-in-class SDN 40-24-100C has been redesigned by doubling its 2 terminals to 4 terminals to enable plant managers to connect more than one load to the power supply, while maintaining its small, easier to integrate footprint. The SDN 40-24-100C is now capable of powering twice the large DC loads than its predecessor on a standard, single-phase AC circuit, allowing manufacturers to add new equipment that can be powered from an existing structure with little or no retrofitting requirements. Importantly, another upgrade for the SDN 40-24-100C is that its T-code temperature specification has been enhanced from “T3” (<200°C) to the same “T4” (<135°C) rating as other SolaHD single-phase SDN-C power supplies. A T rating refers to the ignition temperature of flammable liquids, gases or vapors present in a hazardous industrial environment. By featuring an improved T4 rating the SDN 40-24-100C is now suitable for a broader range of hazardous locations, giving engineers more choices in power supplies. Like all SDN-C Series power supplies, the SDN 40-24-100C features unique visual diagnostic LEDs to indicate I/O status at a glance. It comes equipped with standard screw terminal connections and a rugged, industrial-grade metal outer case that efficiently dissipates heat, and delivers full power in a wide temperature range. A high MTBF translates into superior reliability, longer life and enhanced value to the end-user. Emerson SolaHD SDN 40-24-100C power supplies are backed by a five-year limited warranty. They are RoHS compliant, fully tested and burned-in at the factory. For more information visit: www.emerson.com/en-us/automation/solahd. Click on image to download high resolution JPEG from dropbox.com. Registration is not required. This entry was posted on Friday, January 12th, 2018 at 1:54 pm and is filed under Advertiser, News.